Fukasa-Kai holds the distinction of being the 4th Toide association to be legitimately established, that has direct lineage to Motobu-ryu Toide, the 13th generation “mystery art” of the Royal Imperial Emperors of Okinawa. Which is a quintessential Okinawan throwing and grappling martial arts system. Fukasa-Kai also legitimately claims direct lineage with the 18-generation old Yakota Dai Yoshin-ryu system. This system faced extinction after the death of its founder, whose only remnants are an abundance of profound techniques and oral teachings. Keep reading to discover the three different disciplines that are taught at Lehigh Fukasa-Kai. When you’re done, check out our Calendar and Contact Us to sign up for your first class! Ju-Jutsu, or “gentle art of war,” is a Japanese martial art system that focuses on throwing and grappling. Like other forms of Bujutsu, it’s techniques were developed through actual combat by warring Samurai. In particular, Ju-Jutsu was utilized by the Samurai to disarm his sword-wielding opponent. Usually after his own sword became non-functional. Thus, Ju-Jutsu was an essential component to the Samurai’s arsenal as “back up” techniques. 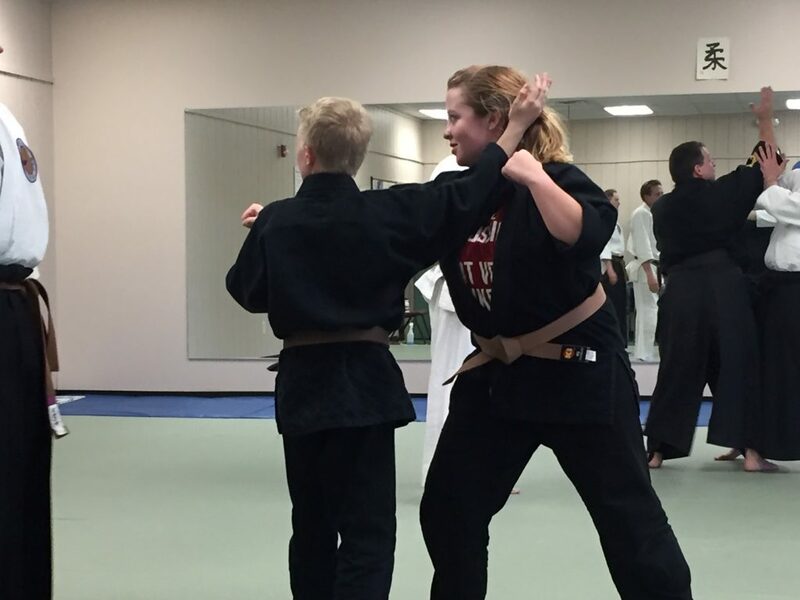 Students of Fukasa-Ryu Ju-Jutsu learn to do much more than disarm an aggressor. You are trained rigorously in defending against attackers and weapons of all varieties. 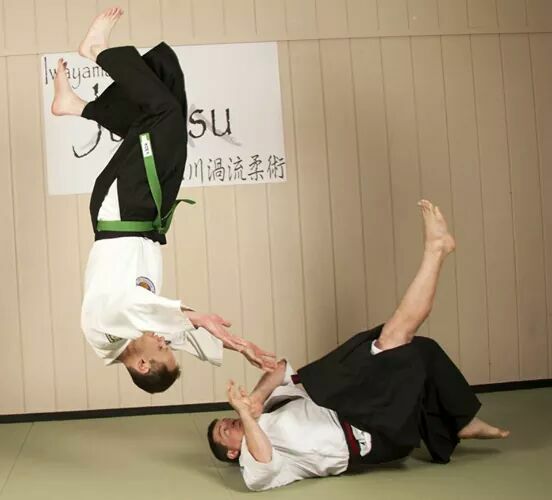 Major elements of typical Ju-Jutsu practice include ukemi (rolling and tumbling), shinki-waza (knee walking), shimi-waza (choking techniques), nage-waza (hip throwing), kansetsu-waza (wrist and arm breaking), and atemi-waza (striking techniques). Atemi-waza is used as a distracting device so that any one of the other techniques can be employed with ease. Through subtle manipulation causing slight imbalance to an attacker, a skilled Ju-Jutsu ka (practitioner) can complete a throw or arm/wrist manipulation with ease. Kempo, or “fist law,” is an elaborate Japanese blocking and striking system that was designed to function alone or in concert with throwing systems such as Ju-Jutsu. 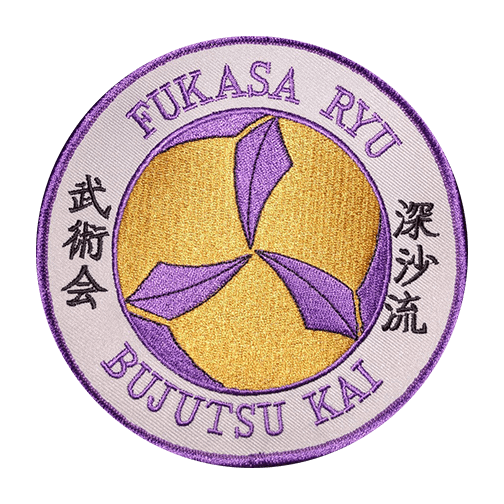 In the case of Fukasa-Ryu, Ju-Jutsu borrows its atemi (strikes), from Kempo-Jutsu. 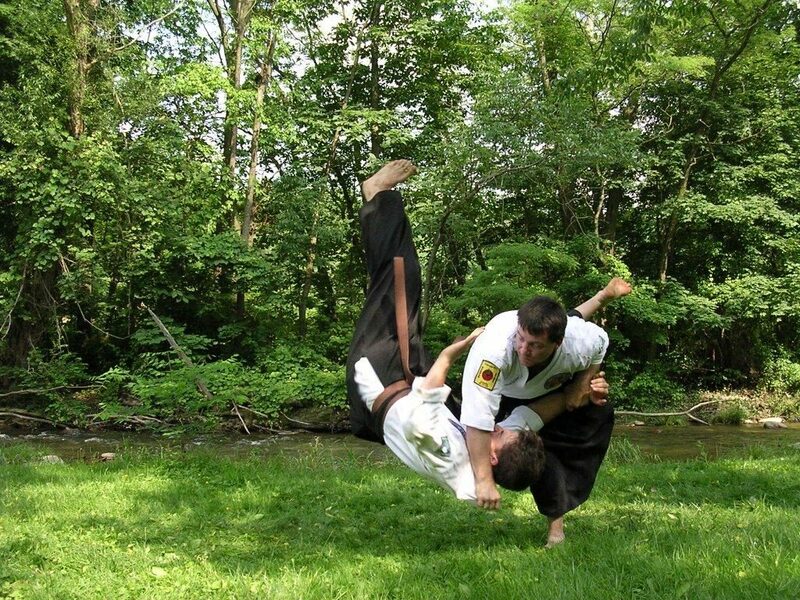 Kempo’s techniques of blocking and striking allow you to enter into your opponent’s space by parrying, deflecting, and moving at obliques, avoiding an attacker’s strikes. This opens the door for limitless possibilities. Your training focuses primarily on the efficient retaliation against attacks which are unplanned. There are no katas (memorized sequences) in Kempo. Practicing this art involves drilling blocks and strikes for proper technique, speed and power, and then applying it against a variety of opponents and situations. Aikido is a “way of the martial arts” with the goal of finding balance in In & Yo (positive and negative forces), Yin and Yang. It is also the unification of body and mind, you and others, man and the universe. Aikido is harmony in motion. It is a means of self-defense and a path of spiritual enlightenment. The skilled Aikido-ka has a calmness of mind, like the eye of a tornado, indifferent to the chaos of life continually spinning around him. If he should get caught up in life’s whirlwind, he’ll lose control and get blown away. The Aikido-ka is mindful of the fact that the only thing he can control is himself; not his attackers, surroundings, or situations. Aikido is not a sport and there is no competition outside of your personal, inner quest for greater self-improvement. In time, Aikido can become an effective way of self-defense (as well as self-discipline), eventually leading to self-mastery. Aikido works by basic principles of physics. When applying the teachings of Aiki (the symmetry of breath control, visualization, and movement), you can redirect the force of an aggressor by using it against him. The more force exerted by the attacker, the more energy for you to use defensively. The techniques of Fukasa-Ryu Aikido are performed in a totally relaxed manner, with movement coming from the hips, allowing for a balanced center and even-flowing movement. Techniques in this system are based on a three-dimensional sphere instead of the two-dimensional line characteristic of other martial arts. Thus creating a more efficient and circular method of defense. Aiki-jodo translates as “Internal Energy Way of the Staff”. This art not only uses blocking and striking methods, but also incorporates locking, throwing, and disarming techniques. Making this a complete weapon system. 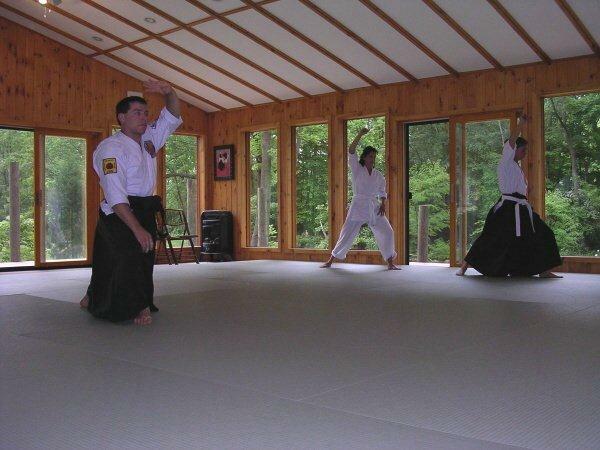 In addition, kata (prearranged forms), are taught to train your body to react in the most efficient way possible. Check out our Calendar for the class schedule, then Contact Us to sign up!